If you end up stranded on a desert island, you'll be glad you're wearing these Wrangler Riggs Men's Dark Brown 3W060 DB Ripstop Ranger Pants. Their cargo styling provides plenty of storage options, which could really come in handy if you get lost -- especially ... (see full details) (see specifications) #WRG3W060DB. If you end up stranded on a desert island, you'll be glad you're wearing these Wrangler Riggs Men's Dark Brown 3W060 DB Ripstop Ranger Pants. Their cargo styling provides plenty of storage options, which could really come in handy if you get lost -- especially if you've packed them with all the essential survival tools. You'll have plenty of roomy, strong spots to store everything you need in the pockets which are made of strong 7.25-ounce white pocketing. Up front, there is an oversized watch pocket and two 13-inch deep scoop pockets. The right front pocket even has the Riggs tape measure reinforcement. The back pockets are reinforced at stress points and lined with tough 1000-Denier Cordura® fabric. Roomy side cargo pockets with flaps and concealed snaps add even more spots to keep everything you need handy and secure. And while you're scouring the island, these Ripstop men's pants will keep you comfortable. Featuring a Room2Move® design, this style offers an action gusset and a roomier fit in the seat, thigh, knees, and leg openings. That means you get extra wiggle room in case you need to shimmy up a tree, lending maximum comfort to your day, letting you bend, move, and flex with less restriction. No need to worry about small rips and tears when you're building a tree-trunk raft. These dark brown work pants will stand tough, thanks to the ultra-durable lightweight 10-ounce 100% cotton Ripstop fabric is extra strong, so you can work hard without them wearing out. The Ripstop weave means that rips and tears don't spread, extending the life of the fabric and letting your work without worrying that a tiny tear will ruin your pants. The tough design is built for durable wear in tough conditions. Triple-needle stitching, a sturdy #5 YKK brass zipper, and 3/4-inch by 2 1/4-inch belt loops add durability. Reinforced knees mean you can kneel in the sand and dig for treasure, and dirt drop vents mean you leave the sand on the beach instead of on the floor of your newly-built shelter. Yep, you'll be glad you have these RIpstop Ranger pants if you're caught in extreme conditions, but you'll love them for everyday work and casual wear, too. These Wrangler Riggs Men's Dark Brown 3W060 DB Ripstop Ranger Pants may just become your new favorites. Buy yours today, right here at Working Person's Store! 33 out of 33 people found this product review helpful. These Wrangler ripstop pants are extremely durable and will hold up to pretty much every condition. The material is very good and very thick. It is constructed very well with triple stitching. What I mostly love about these pants are its pockets. It has deep pockers along with many smaller ones. The lower half of the pants (below the knee) is made up of thicker material than the upper half. These pants are very suited towards rugged work and seems to be a much better option than jeans. I recommend these pants to anyone looking for a very durable pair of pants. 19 out of 19 people found this product review helpful. A fellow worker turned me on to these pants. These will wear like iron and look good at the same time. The pockets will hold just about anything you would want to carry. Also love the knife patch, so you don't wear out you pocket. I would recommend these to anyone who want a good quality, durable pant. The Wrangler Riggs Pants are unlike some work pants these are lighter weight and easier to move and work freely. Extremely tough and comfortable pants. The Ranger style has large cargo pockets and reinforced thigh and knee portion of the pants. I will definitely be buying more. I have still older model of the ripstop cargo pants which are a lot heavier and stronger. These new style ones are a lot thinner and lighter than earlier models. still one of the best wearing work pants and plenty of pockets. As usual today anything that lasts is replaced with a cheaper model. but would still recommend buying these pants if you work in the construction industry. I just wanted to drop you a note to say thanks for everything. The entire experience was excellent, from the product to the incredible service. I've bookmarked your web page. Consider me another satisfied customer, and I'll look to you first for any future workwear purchases! 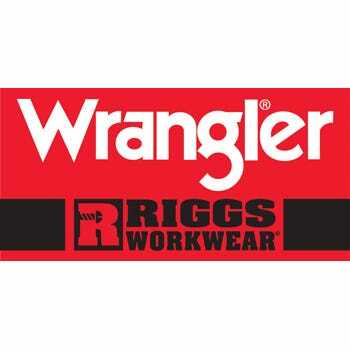 Wrangler Riggs Pants: Men's Dark Brown 3W060 DB Ripstop Ranger Pants is being added to your cart.